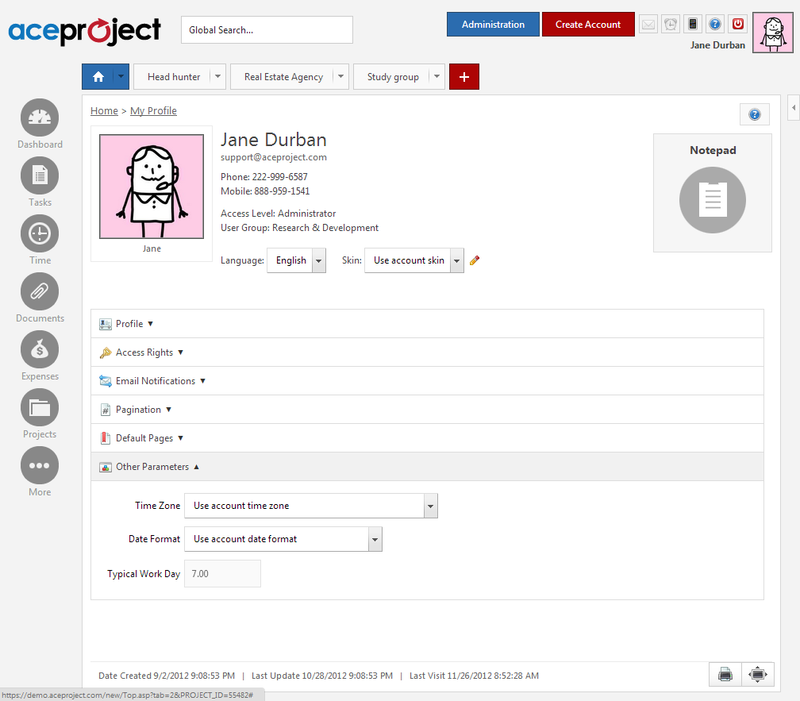 In order to optimize your AceProject experience, various settings can be customized such as the number of projects/tasks displayed on each page, a specific project to open upon login, and more. Before you start using AceProject, we suggest you review your preferences. You can access these preferences by clicking on your avatar in the top right hand corner of the screen. Here are some preferences you might want to review. Your application interface language and skin. Your password which you might want to change. As you may see, passwords are encrypted and not displayed in clear text. The number of bullets shown does not necessarily indicate the number of characters in your password. Your pagination options (e.g. number of tasks per page in task lists). Your default pages (e.g. the default page to open upon login). Other parameters (e.g. time zone, date and number formats, etc).